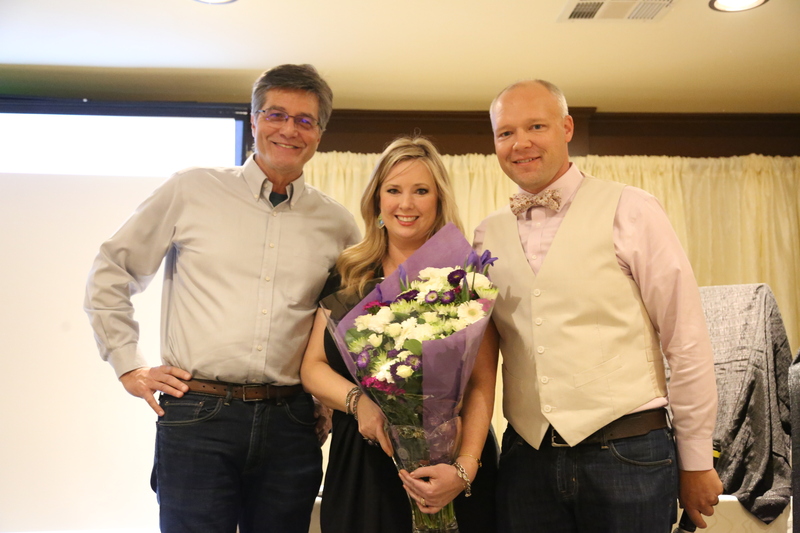 SANTA BARBARA, Calif., Jan. 8, 2018— Crystal Hedgpeth, floral sales manager for Safeway’s Northern California Division, was named 2017 Flower Farm Champion by the California Cut Flower Commission (CCFC) at its annual meeting January 4 in Santa Barbara. Hedgpeth earned the award for the creation of Safeway’s Blue Bucket Campaign that showcases California Grown Flowers in the company’s 280 Northern California Stores. Hedgpeth designed the Blue Bucket Campaign in response to customer surveys that gave the store low ratings for the availability of locally sourced items. Knowing Safeway stores were chock-full of local products, including the California Grown Flowers that made up more than half of the flowers sold in the stores, Hedgpeth created an attention-getting sales and marketing campaign focused on flowers sourced from farmers in the Golden State. She attached the misperception about the “lack of local” by grouping all California blooms and foliage in a single display in the floral department. After several brainstorming sessions with her team, a broader vision emerged for bringing a California Grown Flowers campaign to life. The team added a large “iron man” sign atop the display that included the CA Grown license plate logo and with a message declaring Nor Cal Safeway as the “largest buyer of CA Grown Flowers.” And Hedgpeth implemented her division president’s idea that all the buckets the flowers were displayed in be just as blue as the CA Grown logo. Safeway’s blue bucket campaign draws attention to the beautiful CA Grown Flowers in each of their Nor Cal locations. “Once we had the merchandising done, it really made an impactful statement. The colors of the flowers were more vivid against the blue buckets,” Hedgpeth explained. 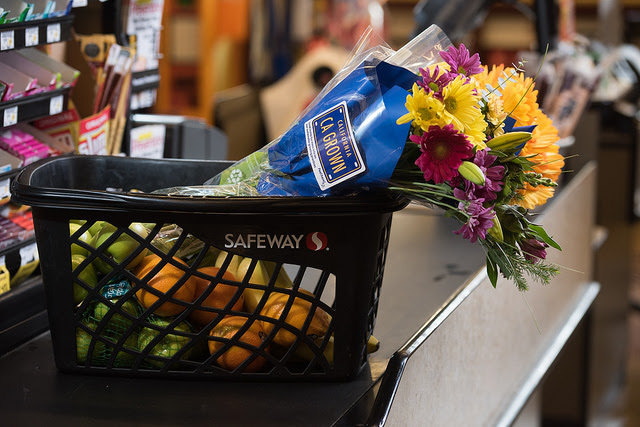 Safeway stores that implemented the Blue Bucket Campaign saw double-digit increases in sales of California Grown Flowers – think 12 to 16 percent. And what started in October 2016 in fewer than 50 stores spread to all 280 Nor Cal stores by Valentine’s Day 2017. California Grown Flower sales are up 14 percent. 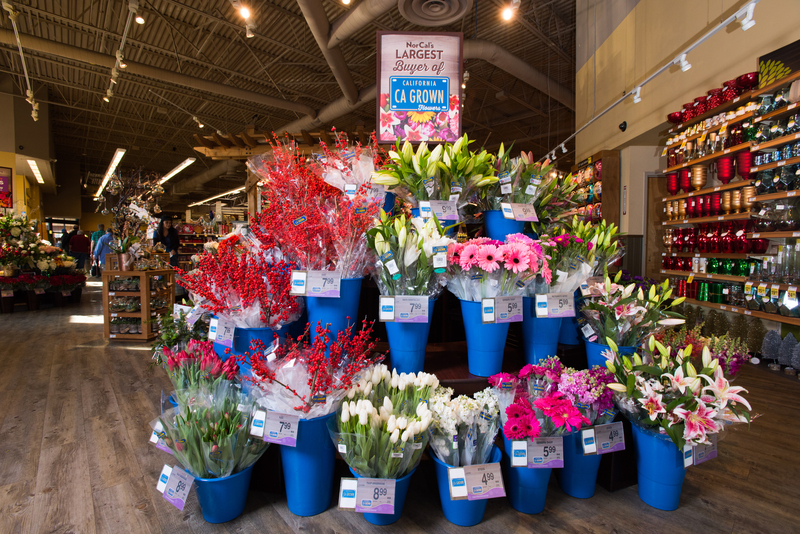 In addition to individual flower varieties showcased in the blue buckets, Hedgpeth has since added California Grown mixed bouquets. And in stores where customers are particularly local-focused, she gets “hyper local” and sets up displays and signage for nearby flower farms. In 2016, the Flower Farm Champion award went to Lois Capps, former U.S. Representative for California’s 24th congressional district, for her notable efforts to support California’s flower farmers. A founding member of the Congressional Cut Flower Caucus, Capps served as a co-chair of the caucus since its inception in 2014. She also helped drive awareness of issues impacting California’s flower farmers, certified CA Grown floats at the Tournament of Roses Parade and met with farmers during advocacy events in Washington, D.C. So deserving and a Job well-done!! What a beautiful way to highlight local product and make CA grown items really stand out. Very cool to have a vision that not only removes purchase barriers among customers, but also clearly communicates the origin of products. Great job and so glad you are being recognized for your success! I’m so proud and excited for Crystal Hedgpeth to win the 2017 Flower Farm Champion Award! She has worked very hard to promote California Grown Flowers.